Damascus is large and busy, as befits Syria’s capital. The city hosts the nation’s elite and is filled with government buildings and security forces. President Bashar al-Assad’s image adorns virtually every street. There is no doubt who is in charge. But drive just a few minutes, and you enter a neighborhood only recently recovered after bitter fighting. Wrecked buildings stand as silent sentinels amid a sea of rubble. The carnage of seven years of horrid civil war reached even Damascus. At long last, the conflict is winding down. Assad has won, and Washington has lost. However, the war’s impact will linger for years, perhaps decades. I just spent a week in the war-ravaged state (at my organization’s expense). America’s approach has been a disastrous failure. Like Lebanon decades ago, the Syria conflict was an unusually complicated civil war. The fighting was brutal all around, with multiple warring forces to blame for an estimated half-million deaths. Indeed, past casualty breakdowns, admittedly of unknown accuracy, reported more combat than civilian deaths and more government than insurgent deaths. Assad survived because he had—and still has—serious, even fervent support. He receives strong backing from his fellow Alawites, a minority sect and Shia offshoot. They commonly display pictures of him and speak of his humanitarian virtues. Other religious minorities, such as Christians, also tend to support his government. They saw the U.S.-inspired revolution in Iraq and didn’t like the ending. After all, even an American occupation didn’t prevent sectarian cleansing and slaughter, and many of the survivors fled to Syria. Moreover, there is some broader acquiescence if not support for the regime. The military has sustained itself, despite suffering significant casualties, which required employing conscription beyond minority communities. Posters picturing dead soldiers adorn signs and buildings in the communities I visited. Far from hiding its losses, the regime appears to use them to forge a common identity. Assad’s backers cannot be wished aside, as Washington seemed to do. Furthermore, since defeat would have guaranteed their destruction, they fought ferociously. The United States is mistakenly fixated on Assad. Of course, he was no friend of America, but if he lost, someone else would win. Washington should have focused on the “compared to what” question. Was American involvement likely to lead to a better result? The Iraq debacle demonstrated how America could make the situation far worse. The Assad government is a dictatorship, but it is authoritarian, not totalitarian, and secular, not religious. Syrian society is striking—it looks and feels remarkably modern. There are religious conservatives, of course, but the Assads, father and son, like Saddam Hussein, created a diverse and secular public square in which most Americans would feel comfortable. In any case, the so-called Free Syrian Army proved to be a weak reed. In one program Washington spent a half-billion dollars on training fifty-four fighters, most of whom were quickly captured or killed. Radicals have also admitted posing as “moderates” to collect U.S. cash and weapons. 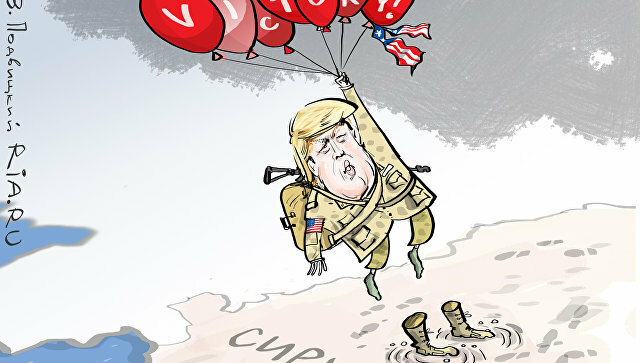 U.S.-supported groups seemed to lose most of their battles and end up surrendering, along with their U.S.-supplied weapons, to more radical forces. The alternative was a variety of extremists, including Jabhat al-Nusra*, which Washington backed, and the Islamic State, which the United States opposed. Additionally, Saudi Arabia and other Gulf State allies poured billions of dollars into various murderous jihadist factions. Moreover, Turkey—focused on ousting Assad—allowed ISIS to transit Turkish territory and sell captured oil. Did the Obama administration really believe that Syrians and Americans would benefit if any of these groups gained control? American support for Jabhat al-Nusra was particularly bizarre since it was affiliated with Al Qaeda* which, if anyone forgot, staged the 9/11 attacks. However, in a multisided conflict, American backing for the FSA ultimately empowered the radicals. The Assad government was the strongest force battling ISIS and other extremists. The FSA could only weaken Damascus, not actually take and maintain power. At least, absent strong and sustained American combat support, which was politically impossible. U.S. policy was not just hopeless but inconsistent and even confused. The Obama administration sought to oust Assad and defeat ISIS, even though the former battled the latter. By aiding the FSA and fighting ISIS, Washington created an incentive for Damascus to concentrate on the former and ignore the latter. The United States opposed other radical jihadist groups despite allying with Saudi Arabia, United Arab Emirates, and Qatar—all of which supported the very same extremists while abandoning the fight against ISIS. Washington also sought to work with both Turkey, which prioritized curbing Kurdish autonomy, and the Kurds, who were prepared to cooperate with Damascus to achieve that autonomy. Washington also railed against Iran and Russia for assisting Syria’s government, even though Assad requested it. Yet, while complaining about that assistance, Washington flouted international law to intervene against Damascus and claimed the right to determine Syria’s future. Indeed, American forces still illegally occupy Syrian land in hopes of forcing Assad from power. The Trump administration’s wartime objectives have turned into pure fantasy. No combination of insurgents threatens Assad. At the start of the war, Damascus suburbs were in flames, bombs were exploding in the capital, new opposition groups were arising, and the Syrian army was over-stretched. At the time, few observers imagined Assad regaining control over most of his country. However, today the regime has mostly defeated all of its opponents. Damascus residents are largely optimistic about the future. Nor is there is any effective pressure on Syria to democratize. The moderate insurgents always appeared to be a mystical unicorn which the West expected to materialize magically. They were vital to giving the opposition international legitimacy but never appeared to be serious rivals for power. Currently, only Islamist extremists and the Kurds remain. For instance, dominant in Idlib province is Hayat Tahrir al-Sham*, an Al Qaeda affiliate backed by Turkey. The Assad government is threatening to open an offensive against Idlib. This has prompted Moscow and Ankara to reach a demilitarization agreement for Idlib, but Syria insists it is merely a temporary expedient to limit casualties. In northern Syria, American forces back Kurdish militias, which control around a third of the country. Meanwhile, Washington hopes to pressure the Assad regime to agree to its own dissolution by denying it oil along with population and territory. However, the regime is more secure than at any point since 2011. The Trump administration has no authority to invade, occupy, and dismantle a foreign nation, for whatever reason. Moreover, Washington’s failure to protect Syrian Kurds from Turkish attack has encouraged Kurdish discussions with Damascus—the two sides had largely avoided fighting even as civil war spread—over a long-term modus vivendi. Restored Syrian control over the region and especially border might alleviate Turkish fears over an independent Kurdish state. Nor can Washington force Hezbollah, Iran, and Russia from Syria. They long were allied with Damascus, and they have far more at stake than America in Syria’s future. Their role is significant and transparent: I drove by Hmeimim airbase shared by Moscow near the coast. While I was at a roadside stand two trucks emptied armed Russians who purchased snacks. Pictures of Assad with Vladimir Putin and Hezbollah’s Hassan Nasrallah are common. In Damascus, I also walked by a mosque which was identified as catering to Hezbollah.Washington should bring its forces home. Neither Iraq nor Syria has threatened America. The designation of Damascus, which never staged a terrorist attack against American targets, as a state sponsor of terrorism was political, reflecting Syria’s support for such groups as Hamas, which is a quasi-state hostile to Israel. But since 1973, Syria has lived in a cold peace with Israel, and that won’t change. Overall, Damascus is much weaker than before the civil war and will have to focus on reconstruction. In any case, President Donald Trump has no warrant to occupy Syria without congressional approval and has no purpose which justifies congressional assent. Washington’s plan to deny aid to areas under government control is equally dubious. There are reasonable arguments for America to keep its money at home, but not for discriminating against those subject to the Assad regime. But the idea that withholding American aid dollars will foster unrest and even revolt is fanciful. The Syrian civil war has been a great tragedy. Hopefully, the long-term result will be a more liberal, democratic state. However, nothing justifies continued U.S. military involvement. America’s attempt at coercive social engineering never was realistic. The Trump administration should end Washington’s latest Middle Eastern misadventure. Doug Bandow is a senior fellow at the Cato Institute. A former special assistant to President Ronald Reagan. The National Interest.